The WWW Wednesday meme is hosted by Sam @ Taking on a World of Words and is a great way to do a weekly update on what you’ve been reading and what you have planned. 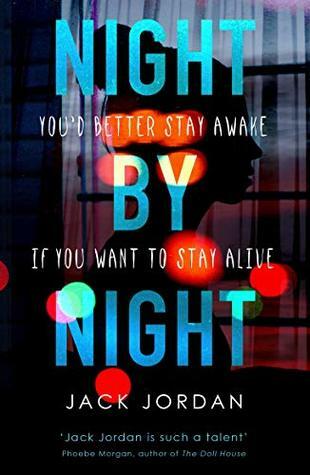 I started reading Night by Night by Jack Jordon on Sunday but have to confess I wandered off and read something else so I haven’t made a huge amount of progress. I think I just needed a break from thrillers but I’m back focusing on it again and really enjoying it. On audio I abandoned my previous plan to listen to Heroes by Stephen Fry and decided to continue on with The Diviners series instead. They’ve changed the Libby app so every time I open it I’m told how many people are waiting for every book I’ve borrowed (which for Heroes was a lot) and I hate feeling under pressure to finish something. I used an audible credit for Lair of Dreams so I can take as long as I like and just enjoy it. My furbaby is back to his usual self (at least until his next fight), the weather was great over the weekend and I have lots of chocolate so I actually managed to find some times for reading and finished three books. From the Shadows by G.R. Halliday – I very much enjoyed this murder mystery/ police procedural set in the Scottish Highlands. It’s a little gruesome and dark but the setting is wonderful and the story keeps you hooked. Definitely a promising start to a new series even if I would have liked a little more depth to the characters and maybe just a smidge of humour. Moon Called by Patricia Briggs – This series has been on my TBR for a while so was great to finally have an excuse to read it (it fit a challenge task). I thought it was a little slow to get going and is quite similar to a lot of other urban fantasy series but I will no doubt continue on with the series. 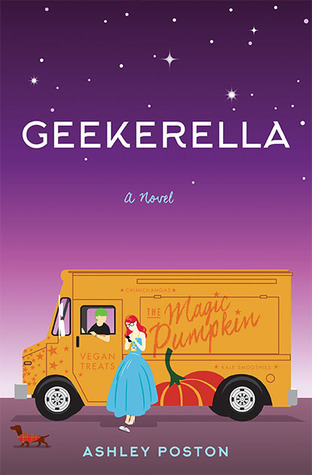 Geekerella by Ashley Poston – Another book from my backlist and honestly I’m not sure why I decided now was the right time to finally read it. It was there 🙂 I’m a big fan of retellings and had heard great things about this but I’m afraid while it was enjoyable and addictive the story was just too familiar to me. From the very start the story and the romance in particular just reminded me of Cinder and Ella. The family situation is different and it goes into more detail on fandom but it just lacked the feels. I think I’m crime/thriller’d out for the moment so am probably going to switch to something completely different. 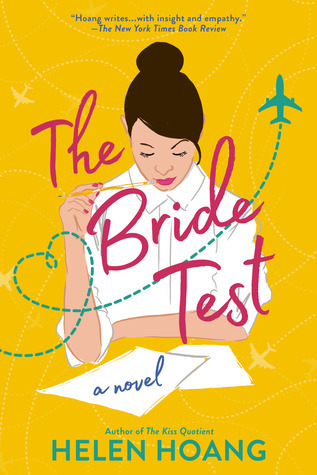 I got my hands on The Bride Test from NetGalley a couple of weeks ago so I don’t think I’ll be able to resist for long. 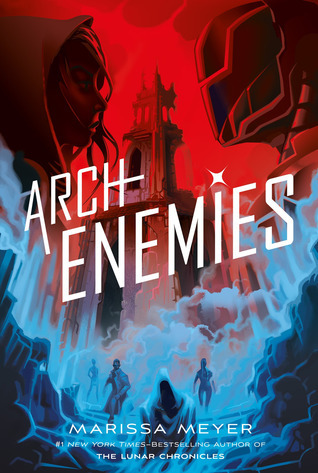 I also have Archenemies sitting on my shelf and really want to find out what happens next in that series. 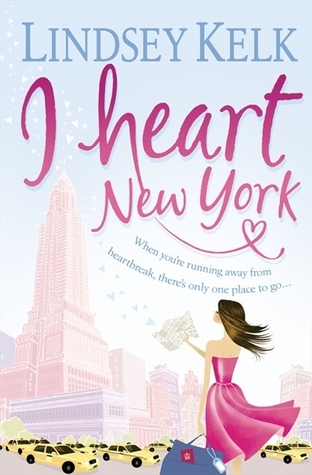 I also bought I Heart New York last week so would be good to pick up that one too. This week my teaser comes from Geekerella by Ashley Poston a contemporary retelling of Cinderella mixed with a bit of fandom. I finished this about half an hour ago and really enjoyed although I kind of felt like it was a story I’d already read. It’s very similar to one of my all time fave books Cinder & Ella by Kelly Oram. It’s good but for me, not that original. 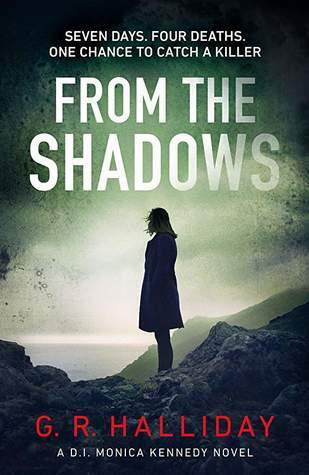 I started reading From the Shadows by G.R. Halliday on Monday and am already half way through and really enjoying it. It’s about the hunt for a serial killer and is set up in the Highlands of Scotland. It’s been a while since I read a police procedural and this is very well done. It’s a little bit gruesome in places but very atmospheric and quite addictive. On audio I’m about to start Heroes by Stephen Fry. I have high hopes for this one as Stephen Fry is a brilliant narrator and I love myths and legends. There has been lots more hanging around the house over the last week as I had to keep an eye on my cat (he’d been in the wars and hurt his leg) but I have to admit I spent more time watching TV than reading as my concentration was shot to hell. I did however manage to finish two books. 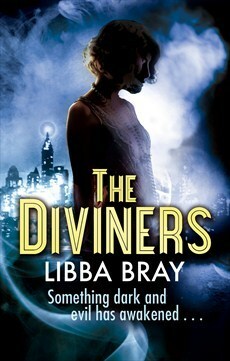 The Diviners by Libba Bray – It’s taken me about 5 months as I kept losing my library hold but at long last I’ve finished this and do you know I think I kind of loved it. The narrator was absolutely brilliant and while the story was a little slow in places there were some genuinely chilling moments. I’ve already used an audible credit for the next in the series. 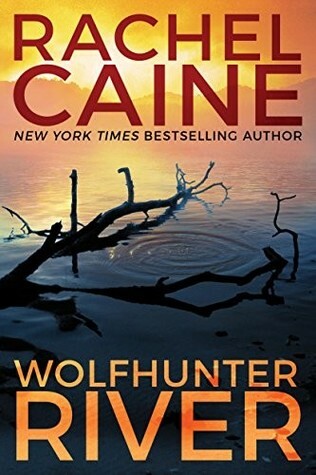 Wolfhunter River by Rachel Caine – I was a little wary of this as the reviews I’d come across while not bad did seem to say it was the weakest in the series so far. It may have been my lowered expectations but I did really enjoy it and read the whole thing in pretty much one go. It’s still not my favourite in the series, there’s nothing stand out about it, but I do love the characters and the story was quite a page turner. I got my hands on a couple of ARCs during the week that I don’t think I’ll be able to resist for long, The Bride Test in particular is really calling to me as it’s one I’ve been really looking forward to reading. I also want to get into the back list a bit with the first in the Mercy Thompson series, Moon Called. This week my teaser comes from The Bride Test by Helen Hoang, an advance copy of which I received from NetGalley yesterday. I’m very excited about this book as I loved The Kiss Quotient. As I haven’t started yet I’ve opted to use the first few sentences for this week’s teaser. Khai was supposed to be crying. He knew he was supposed to be crying. Everyone else was. But his eyes were dry. 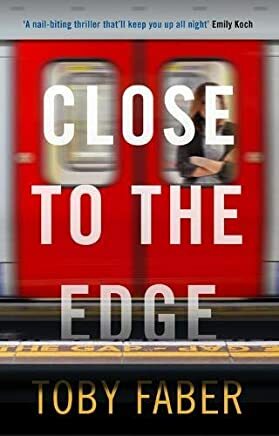 Today I’m delighted to be taking part in the blog tour for Close to the Edge, an exciting new thriller by Toby Faber set in and around the London Underground. Before I say anything else I want to say a big thank you to Muswell Press and Brownlee Donald Associates for inviting me on to the tour and sending me a copy of the book. Compelled to investigate, Laurie breaks into the Underground at night to look for clues. The ambush comes out of nowhere, forcing Laurie to flee for her life through pitch black tunnels and deserted stations. The London Underground is truly the star of this new thriller by Toby Faber as it makes the perfect setting for an original and engaging story. I was hooked from the first page until the very last. The story follows Laurie, who on the way to work one morning witnesses a man falling in front of a train. When the police decide to write it off as a suicide despite Laurie’s statement she starts to reexamine what she saw and begins an investigation of her own into who he was and just what happened on that platform. 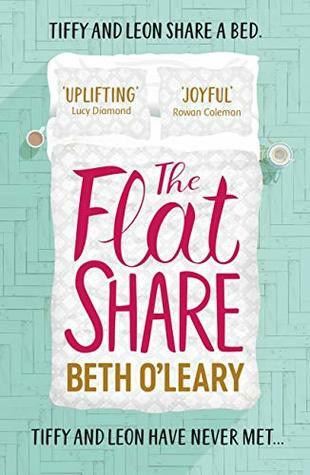 When she makes some unexpected discoveries odd things start to occur in her own life and it seems that someone may not want her to uncover the truth. I have to admit this story did not go in the direction I was expecting. There are elements to it that are predictable and which I guessed but there were a lot more that I really didn’t see coming and as someone who reads a lot of thrillers I loved that. I’m not often a fan of the amateur detective story, I can never understand why they don’t just go to the police, but in this case it works incredibly well and I enjoyed following Laurie’s methodical research and investigation. Laurie makes for a great main character and I really liked how she developed and grew over the course of the story. In the beginning she seems very flat, going through the motions at work, no real friends other than her flatmate/cousin and no romantic prospects. Seeing someone killed by a train is obviously horrifying and extremely traumatic but it seems to shock her out of the daze she’s been living in. As she begins to investigate her interest and passion spreads to more than just getting to the truth and it is wonderful to see her start to live her life and take pleasure in things. I also have to say how much I loved Laurie’s dad as a character and the relationship between them was portrayed incredibly well. It’s rare to see father/daughter relationships in books so it made for a welcome addition to the story. The real highlight of this story for me however was the setting. Faber has a real gift for description and the story is full of those little details that bring places and situations to life. 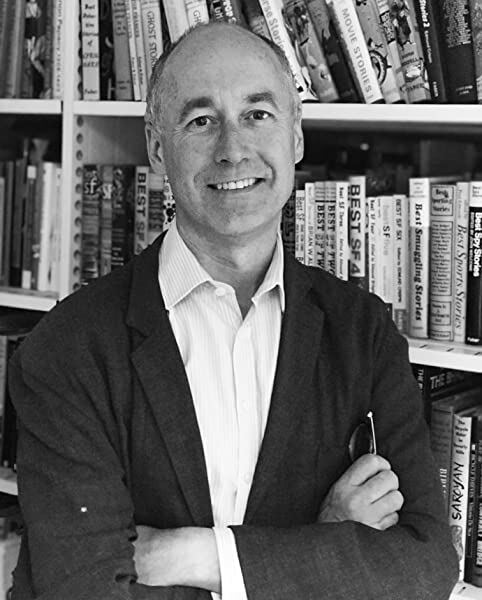 I’m not sure whether he’s drawing from his own experiences (he has had a rather varied career) or extensive research but it all felt very authentic and believable. It does feel like you’re very much in each moment experiencing everything Laurie does, whether that’s running through underground tunnels in the dead of night, exploring abandoned stations or even just doing every day things like enjoying a family lunch, fighting with spreadsheets at work or galloping across a field on a horse (ok those last two are probably just me). 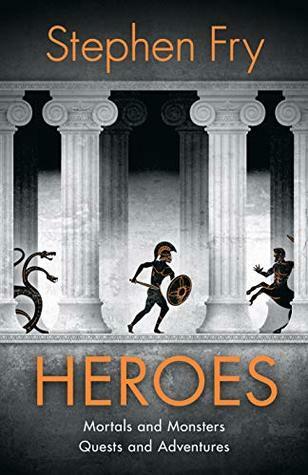 As there is a lot of detail and character development I wouldn’t necessarily say it was a fast paced read but there is still plenty of action and quite a few scenes that had me absolutely gripped. There were also a couple of scenes that I found very uncomfortable to read, some of that is down to my own issues but there is one scene in particular I think most will find disturbing. Overall this is a really enjoyable read and it’s clear that a lot of work has gone into getting all of the details just right. It’s unexpected and has just enough twists to keep you guessing till the very last page. 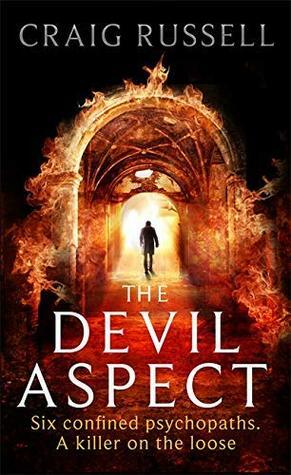 The Devil Aspect cleverly combines horror, murder mystery and historical fiction to create a read that is both fascinating and disturbing. In 1935, Viktor Kosrek, a psychiatrist newly trained by Carl Jung, arrives at the infamous Hrad Orlu Asylum for the Criminally Insane. The state-of-the-art facility is located in a medieval mountaintop castle outside of Prague, though the site is infamous for concealing dark secrets going back many generations. The asylum houses the country’s six most treacherous killers – known to the staff as The Woodcutter, The Clown, The Glass Collector, The Vegetarian, The Sciomancer, and The Demon – and Viktor hopes to use a new medical technique to prove that these patients share a common archetype of evil, a phenomenon known as The Devil Aspect. As he begins to learn the stunning secrets of these patients, five men and one woman, Viktor must face the disturbing possibility that these six may share another dark truth. Set in Czechoslovakia in 1935 the Devil’s Aspect cleverly combines a gruesome murder mystery with psychological theory while delving in detail into a history and a place I knew very little about. It asks the question of what is it that drives someone to do evil things. Does everyone have the potential for both good or evil or is there some kind of external force that can drive someone to commit the most horrific of crimes? It truly is a fascinating read as in addition to exploring the various psychological theories I feel like I also discovered so much about Eastern Europe in the period just before the second world war. I have to confess my knowledge of this time (and place) is almost non existent but through this story it seemed like the author truly brought it to life. Capturing the melting pot of different cultures, ethnicities and religions as well as the ever present threat of the Nazi’s and the knowledge of what’s to come. It makes for a truly ominous setting. Add to that an asylum set in a castle that would give Dracula’s a run for its money in terms of its history and the superstitions surrounding it and a killer who seems to imitating Jack the Ripper and you have a dark, disturbing and often grotesque read with a gothic feel to it. The story itself is told primarily from the point of view of two men. The first, Viktor is a psychiatrist who takes up a position at an asylum made infamous for homing the six most feared serial killers in Czechoslovakia. He hopes through treating them to find evidence on his theory of the devil aspect, a common link that can explain why they committed such heinous crimes. The second pov is that of Smolak, Kapitan of detectives in Prague who is leading the hunt for a brutal murderer leaving bodies all over Prague. The narrative flips back and forth between the two men as we discover more about them and their work before the threads slowly start to come together and Smolak finds that Viktor may be able to help him catch this new serial killer before the body count grows higher. I have to admit I found myself more drawn to Smolak’s story than Viktor’s. Viktor’s does have a bit of a Silence of the Lambs feel to it as he interviews each of the serial killers residing in the asylum, learning the details of the crimes they committed and trying to identify the reason behind it. However, while I did find the stories of the killers compelling I’m not wholly convinced the level of detail or psychoanalysis was necessary. I also found Viktor a little on the frustrating side as his determination to prove his theory leads to some reckless and dangerous actions. Smolak was for me the more likeable of the two, he has this world weariness to him but never judges things at face value or jumps to the easy answer. I found his investigation into the murders of several women by a killer known only as Leather Apron to be fascinating. He’s very methodical in his approach and despite an ambitious deputy who seems determined to push him out he doesn’t go for the quick or the easy. It was also wonderful to explore the Prague of that time with him as he travels around the city, visiting crime scenes and following up leads. The mystery itself is very well done with the author leaving little hints and clues along the way as to who the culprit may be while also throwing in the odd red herring to throw you completely off track. I did guess pretty early on who the killer was, I’ve read a lot of similar type mysteries, but the story was no less gripping for it and there were still a few little surprises in store along the way. If I had one main criticism of this book however it’s that I found it a little on the slow side. With the level of detail needed around the history of the time, the place, the people and psychology it’s unlikely it could ever have been a fast paced, edge of the seat read but there is the odd occasion where I felt there was more detail than needed (although I suspect this is personal preference). 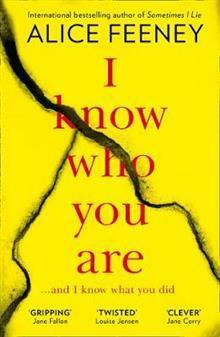 As a consequence it fell a little short of the terrifying read promised, although it is often chilling and disturbing. Overall I’m very glad to have read this truly fascinating and often disturbing story. I would recommend to anyone who likes historical crime fiction. Thanks to the publisher and NetGalley for providing me with a copy of this book. This has in no way influenced my review.